Launched in 2010 with a vision to provide comprehensive & reliable property services to the clients. The Company provides property services in Mumbai that enables clients located all over the world to make informed about Mumbai properties buying, selling, leasing, leave & license and investment decisions without stepping out far from home. The company is led by Kavin Shah a young energetic professional with good background, education, knowledge and experience in the property world and he did like to introduce himself as the Real Estate Consultant who is specialized in Premium Residential & Commercial Properties in and around Mumbai. 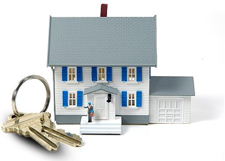 ARCH REAL ESTATE provides home sellers and buyers with an innovative real estate solution. As a real estate company we are catering to all the needs and requirements of our clients under one roof. By using the efficiencies of the Internet and Market knowledge, we have streamlined the real estate process and are able to pass significant savings on to our clients. To delight our clients by bringing great people, technology, and value to the experience of buying, selling,renting and owning a home. At the same time we also realize that several factors go into providing real estate solutions that protect our customer's investment, most importantly Clear title, Quality of Product & Cost-effectiveness. Our extensive database ensures a wide spectrum of choice in properties for our clients. Our Company is mainly specialize in Mumbai areas like Andheri, Powai, Sakinaka, Kandivali, Borivali, Malad, Goregoan, Bandra, South Mumbai, Navi Mumbai etc.. all prospective location which benefit you. We deal in Buying, Selling, Leasing, Corporate Leasing, Corporate Guest House, Rent, Leave & license. Bunglows, Redevelopment Project, Bank & DRT Auction Properties. Leasing your property to Reputed Corporate.